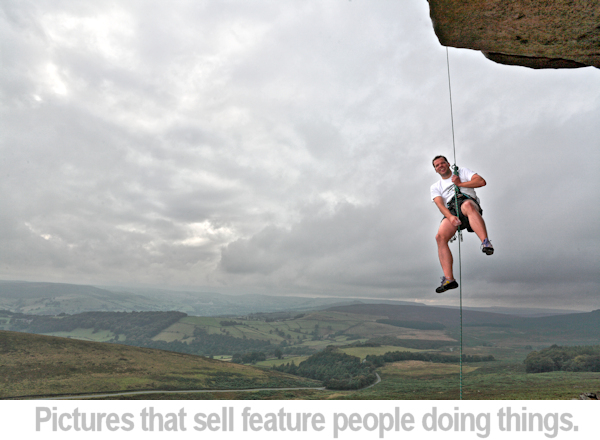 Business Insight - What Stock Photography Sells? As soon as you start down the path of becoming a stock photographer one of the first questions you'll ask yourself is, 'I wonder what sells?' If you aren't asking this question then you haven't grasped the concept of shooting stock. It's all about making money by licencing your images. Everything you shoot should be done with the intention of making money from it which means not shooting stuff that won't sell. When you get in to stock you'll be amazed at what does sell, sometimes the most unusual, obscure images are used and this always comes as a surprise. So what does sell? I can't answer that with absolute scientific facts and figures, only what I've learnt from reading as many articles as possible, seeing what others upload, what they continue to upload, seeing how stock photography is used by clients, reading numerous stock forums and keeping one eye on anything to do with stock photography. Your experience might be different, this is just how I see things. The answer to that question? The answer is.. people. Yep, people. People doing things like playing sport, reading a newspaper, people travelling, people at work, people at home. People doing things that clients need to use in their designs, books, magazines and artwork. Really that shouldn't come as a surprise to anyone because so much of almost anything published is about other folks. This will have been a popular subject for many years but what has changed is the style of the image. Look at images from a few years ago and see how different they are to today's images. Now stock images are required to be less posed and more natural, looking like real life and less like they were shot in a studio. Styles will probably evolve again so there's always a need for fresh pictures of people. What really helps a people picture to sell is a model release. This opens the image up for commercial use and where the higher fees are found. Images that feature people without a signed model release have far less appeal to commercial clients if at all and will likely only be used in an editorial context. After people I think travel images would come next. Travel is a massive deal for publishing as it's such a popular thing to do. Here too people pictures are required. People travelling, shopping, hiking, fishing, etc. What you can see here is how these subjects mix up so you might shoot people pictures but you'll also cross over to shooting travel-type images too. That's a good thing as it opens up your images to different markets. You just have to remember that if that's what you intend to do you should ensure those images are up to scratch and match the quality of the images shot specifically for that market. If you can get a model release for the people you feature in a travel image then you're helping the chances of a sale a great deal. However that can be tricky if there's many people in that shot. When shooting people pictures, or travel, or most subjects, the style you give your shot can dictate to which sub-market your work is best suited. For instance, if you are shooting dark moody travel pictures, perhaps these are really great for book covers. Or if you shoot portraits of people in period costume these too might suit a book cover. Perhaps you shoot people skiing. The market for these is wide-ranging, touching on sports magazines, travel brochures, healthy living articles, lifestyle, etc. There are many, many subjects that also sell, pictures of things with a white background for example but for these to be purchased by clients they have to be the very best images. Fruit for instance. A hugely popular subject to photograph for stock and one that is purchased constantly by clients. However, there's a huge amount of fruit to licence from the big libraries and it's mostly royalty-free and usually small royalty fees for the photographer. So should you wish to shoot these types of images, your quality has to be exceptional to be seen above the thousands of other exceptional images of fruit already out there to licence. Other subjects that are worth mentioning are concepts. Images that explain something normally described with words but shown as an image. The concepts can be many and varied but here are some examples, power, speed, strength, family life, communication, health to name but a few. These are all words you can match to images. How about an image of a sprinting athlete to describe speed or power? These types of images are very popular as they back up articles and advertisements. Take a look at the article we have here about photographer John Lund. He specialises in shooting conceptual imagery. How about the Gorilla that's vanishing? Can you see the concept is about how wild animals are vanishing from their natural habitat? Here's a link to John's article. Some stock libraries makes lists of required images available to photographers. These usually feature subjects that clients are looking for but can't find in the library's collection. These are a useful source of information about what clients are looking for at the time although it's worth contemplating if those needs are very client-specific or point at a wider need that more clients are looking for. What Helps an Image Sell? What helps an image sell is it's ability to 'tell a story'. For instance, if you have an image of a senior person, sitting using a tablet, you can think of a number of 'stories' with which this works. For instance, simple technology in use, learning technology, eyesight, staying active, mental health, boredom, contact, hobbies. Lots of stories can be told by that kind of image. With a shoot like that it's worth capturng a number of scenarios, like the person smiling whilst using that tablet, looking frustrated whilst using it, sharing it with another person, using it to talk to someone on the screen. There are many and varied opportunities for just that one scene. After creating interesting imagery, keywording is the next-most important aspect to make a difference to your sales. If you take a travel picture of a local market and then only keyword it with 'local market', it's unlikely to be used by anyone because it will appear within the results of thousands of other images also keyworded in the same way and probably never be seen by anyone. However if you added the place where you took the picture as a keyword then you start to reduce the numbers of other images that match your terms when someone searches for a picture of that market in that place. Did you shoot it in Winter or Summer? Is there anything else about the market that picture buyers might also be looking for? If you shoot nature then adding the correct name of the species will help towards a sale. Shooting a flower and adding only the keyword 'flower' means it will never be found. Someone is far more likely to search for it's botanical or latin name so including those will mean a potentially higher view and sale rate. Be careful that your keywording and descriptions are correct as buyers may assume this information is valid. Keywording is very important and detailed, accurate keywording can get your images in front of the right people who may want to use it. Don't be tempted to add keywords that aren't accurate, ensure yours are valid and correct. 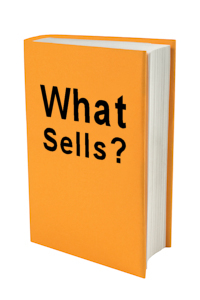 So you get the idea about what sells, but what doesn't sell? People pictures! Or to be more specific, people pictures done badly. Look at the pictures stock libraries use to promote their image collection. If your images aren't up to these standards of production and quality then your images aren't going to sell. They won't sell because someone else's images will be up to those high standards. If you're going to go to the trouble of arranging a shoot, booking models, locations and stylists, you need to make sure the images you shoot are what your clients will want to buy, both aesthetically and technically. What about the subjects you shoot? There will be certain subjects for which clients don't really have a use or subjects that are represented in huge quantities in the stock libraries. Autumn leaves, for instance. An easy subject to shoot because we all experience that beautiful season with those gorgeous colours making for great images but how many uses do you see of Autumn leaves or golden trees? Not many really. Of course if you love Autumn colours or leaves then you should still take the picture, just don't expect it to be a great seller as a stock image. I've just searched for 'autumn leaves' on a popular stock site and it gave me over 800,000 results. Getting clients to see your work amongst that many shots is very difficult. To give your images the best chance of selling, you need to shoot popular subjects in interesting ways, with one eye on trends, always looking at finding new angles and styles to use and with high production values. Avoid subjects that are already saturated. That's easy to write and difficult to put in to practice. It's one of the biggest challenges facing photographers who wish to shoot stock. Over time if and when you get in to shooting stock and you see some images selling and some that aren't, you have to ask yourself why that is. Cold, hard experience is one of the best ways of identifying what kind of images you produce that clients like. Of course this takes time and investment to get your work out there and that sales feedback will take even longer. Shooting stock is a long-term commitment and with it comes an element of risk as there's no guarantee your work will sell. We'd be interested in hearing your thoughts so please leave a comment below.